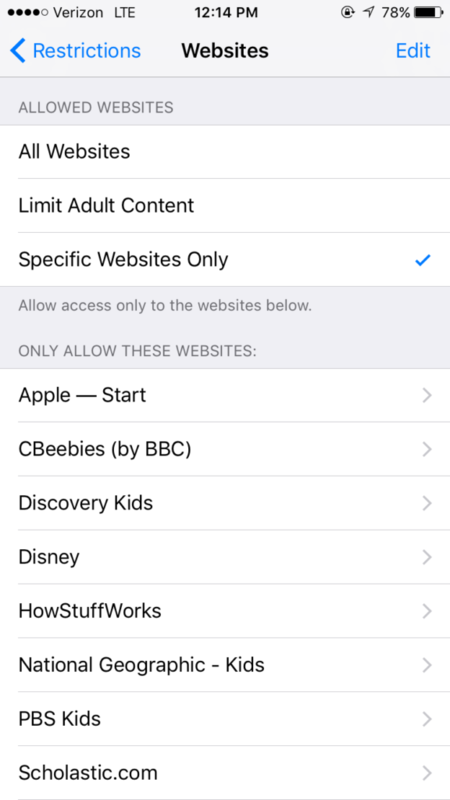 By default, Apple has a feature that allows all of their iOS devices to be assigned restrictions, so that employees and mostly children cannot access naughty websites and other types of less-desirable content. You can enable these settings by visiting Settings > General > Restrictions on your iPhone or iPad. 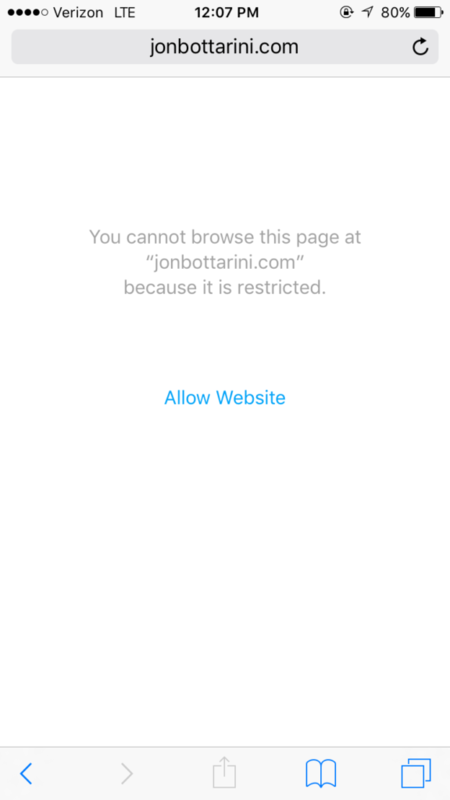 When I test the restriction settings, I turn restrictions on, and then I change the website settings to allow Safari, but only the default specific websites (see screenshot below). See what’s happening here? 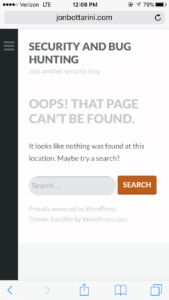 Only the URL up to “.com” is checked against the whitelist. 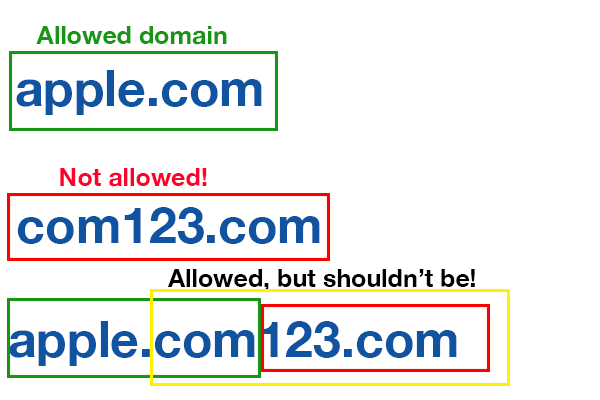 The restrictions settings do not check to see if a URL contains subdomains… so I’m able to trick the filter to allowing a domain such as “www.apple.com123.com” to be let through. 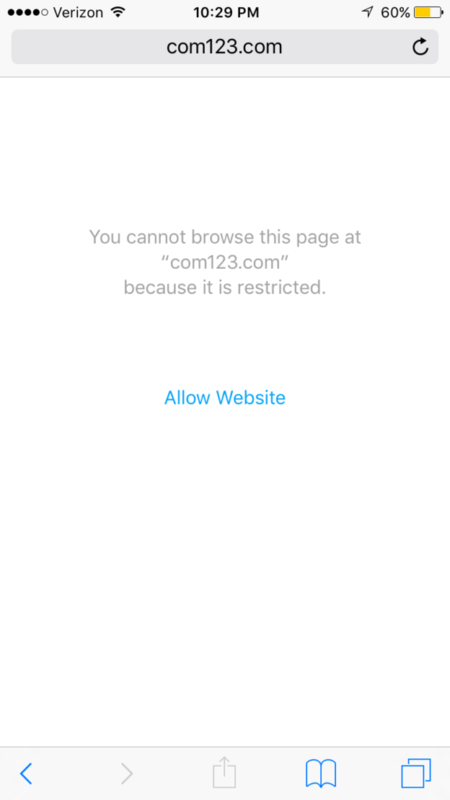 The actual domain name in this case is com123.com – which is definitely not on my approved list of domains. I also reported this to Apple about 7 months ago and it still isn’t fixed. I asked them for permission to share this article. This is just an interesting bug that slipped through the cracks, I assume they will have a fix out eventually for the bugs. Still haven’t made it in the Security HoF for Apple yet, but it’s definitely a goal of mine for the year. I have other bugs and vulnerabilities that are cooler and more intense than this one coming soon, so check back later and I’ll share them with you. Additionally, you can follow me on Twitter to stay up to date with my bugs and what I’m doing, if you wish.